Universal Promise’s conception of education is broad, even all-encompassing, because we believe learning permeates each sphere of life – so while UP efforts in South Africa began as a response to decrepit classroom conditions, we have since expanded well beyond school buildings to teacher-training, playgrounds, sports fields, gardens, and community centers, and a brand new academic centre that houses an unprecedented library, science laboratory, arts studio, and dance & music studio. Our goal is to provide students of all ages with opportunities to think, challenge, express themselves, connect with the world around them, and foster just, civil, and hopeful societies. When you are finished reading this page, we invite you to return to the home page and click on Our Work to see the breadth and depth of our efforts in the seven years since our founding. 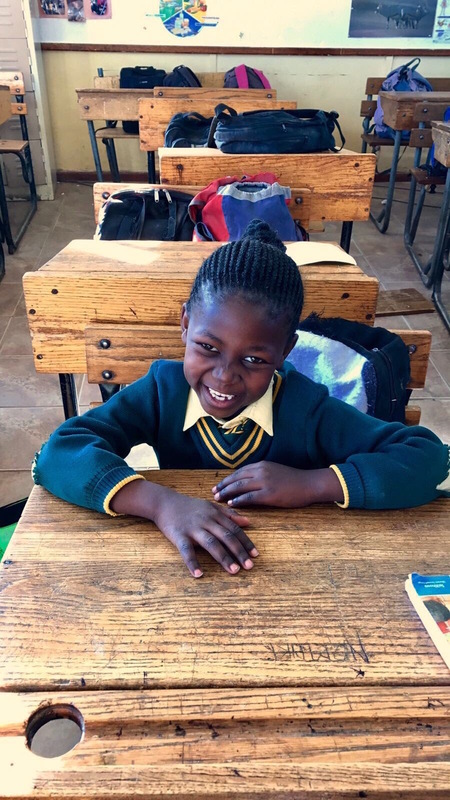 We are committed to education as a means to empowerment, whether a Grade 1 child strives to master English as a second language, an 18-year-old hopes for a future as a licensed psychologist, or a 50-year-old enriches her skill set to open her own business. And just as our mission is singularly focused, so is our region: Addo, South Africa. We work in one area at a time to maximize community-wide opportunity. We are a relatively small organization, but our impact is diverse and great. This is partly because greater than 90 percent of each donation directly supports our programs. We pride ourselves on transparency and assure donors that they may trace exactly where their money goes. Contributors know that this donation paid for the purification elements of our clean water system and that donation purchased Simthandile his first new pair of school shoes. We are vigilant about protecting donor generosity, so we research diligently to find the best prices, ask for discounts on purchases, and incur zero dollars in salaries and overhead. We take our responsibilities seriously, and this approach has garnered the trust and respect of the locals. We know which student has math skills beyond her years, which children have suffered the loss of a parent, which learner needs a school uniform, which educators are beloved and why, and even which granny makes the best dumplings. We have also performed at a local talent show, danced with 500 residents in an informal settlement, and watched an 85-year-old spy her first elephant on a field-trip. We are in it for the long haul, because stripped opportunities take time to restore, and because we love the people with whom we work. It is really that simple. To learn more, please see Our Work.